Do you watch the Cooking Channel? If so you have probably heard Ina Garten, The Barefoot Contessa, say, “how easy is that”. Or maybe you remember Martha Stewart’s classic, “It’s a good thing”. Both would perfectly describe the app I bought today from the Mac App Store, Snapheal. Snapheal is an app that removes an unwanted object from a photograph. It’s a magical mouse click. Unwanted person or thing is instantly gone from the photo. That would be awesome in real life. Sorry, for $7.99 it only works in photographs. Today is one of those days I wish thousands of people read this blog because I’d love for amateur photographers everywhere to know about this cool tool. 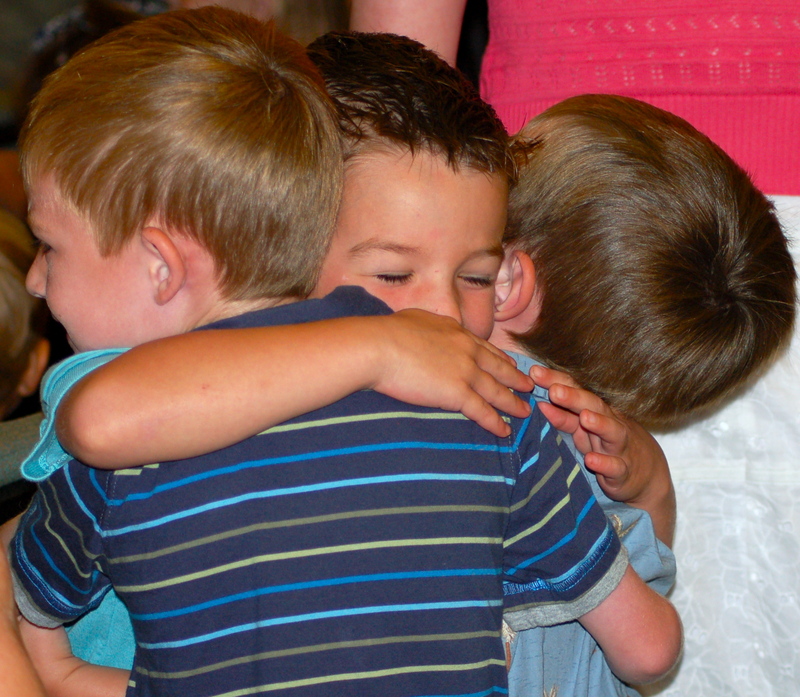 Here’s my grandson Ethan and two of his good buddies saying goodbye on the last day of school. Notice the lady’s arm above Ethan’s head. I love this shot, but every time I see it my eye goes right to her arm. And here, after just seconds of outlining and a magical mouse click, I have the same great photo without the annoying, attention-grabbing arm. Wouldn’t it be great if there was a Snapheal app for real life? On second thought, I’m not comfortable with that kind of power falling into the wrong hands.